Dallas Regional Conference Dates and Location Updated! WITI's Dallas Regional Conference has been moved. Plan now to join us May 4 - 5 at the Renaissance Hotel in Houston, TX for "The Power of Reinvention". Move beyond the old perceptions of yourself, your business and your product, and get ready for the next level! Register today! Mellanie Hills will be speaking at the WITI Austin Networking Event on February 9. By David S. Katz, President, CEO, Global Security Group, Inc.
Business travel is essential in our expanding global marketplace. Each year, several hundred thousand men and women take business trips. And, each year, the number of women traveling on business rises. This trend will continue as women continue to broaden their presence within the corporate world. Vertigo Design has three components: Pixie, a jewelry and accessories line; Somethingblue, for wedding invitations, baby announcements, thank yous and other social stationery; and Vertigo Design, the web design and programming business. 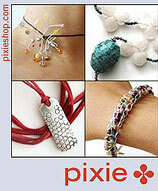 Mention WITI when placing jewelry orders at Pixieshop for free shipping during February! Companies with more women on boards of directors also tend to have more women in executive positions, more women-friendly benefits packages, and better maternity leave, according to the third annual report on women leaders in communication companies conducted by the Annenberg Public Policy Center (APPC) of the University of Pennsylvania. The report also found that women still comprise just 15% of executive leaders and just 12% of board members in top communications companies - numbers virtually unchanged from the previous year. The study examined board members, top executives, and women-friendly benefits at the 57 Fortune 500 communications companies. It included 25 telecom, 18 publishing and printing, 11 entertainment, and 3 advertising companies. Between 1997 and 2000, women-owned employer establishments demonstrated amazing tenacity and proved to be more resilient than employer firms overall during the period, with a much lower 4.2% decline in employment among those firms in business in 1997 - compared to a 6.7% decline among all establishments. Further, women-owned employer establishments were just as likely to have remained in business over this period, with three-quarters (75.1%) still in existence after three years. This new information is contained in an Issue in Brief, "Trends in Women-Owned Employer Establishments: 1997 to 2000" published by the National Women's Business Council (NWBC). As the result of a ground-breaking agreement made with the Census Bureau, the NWBC is now producing the first-ever annual tabulations on trends in the number and employment of women-owned employer establishments by state and industry. These are the only such data available annually between Census years, and will allow the NWBC to provide more detailed and timely intelligence on trends in women's entrepreneurship. "Trends in Women-Owned Employer Establishments: 1997 to 2000" is the first of several reports to be published based on these new data, and focuses on two key measures: survival and changes in employment. The brief features detailed tables by state and industry. WITI Watch will return in the next issue of the Strategist. The Women's Technology Program at MIT is a 4-week summer residence program to introduce high school girls to electrical engineering and computer science. The classes are taught in a supportive environment by a staff of women MIT PhD candidates and undergraduates and include hands-on experiments and team-based projects in computer science, electrical engineering, and mathematics. If you know a girl who is currently a high school junior with demonstrated math and science ability and an interest in finding out about EECS, please encourage her to visit their website for more information and for an application form. Applications are due February 3, 2004. No prior experience in computer programming, physics, or electrical engineering is expected, but applicants typically have strong academic records, especially in math and science. David Katz, author of Personal Safety for Women Traveling Abroad on Business, and The Global Security Group, Inc. are pleased to present "Executive Travel Safety and Personal Security", a seminar detailing the measures that must be taken to ensure the safety of America's executives and corporate employees as they operate in the global marketplace. The current world political situation has made doing business a great deal more complicated and certainly more dangerous. Business travelers need to be taught the basic security techniques familiar to government operatives but little known in the corporate world. WITI members, use promo code "WITIdk" to receive a special discount to this event. Register now! Everyday people performing superhuman tasks - it's something you don't see very often. At Capital One, we witness it every day. That's because we offer our associates an entrepreneurial environment where they can share their ideas - and then we give them tools to help their ideas take flight. One of the fastest growing financial services companies in the U.S.
Search for Capital One jobs on WITI4Hire. The Chief Information Officer will report to the CFO with worldwide responsibility for the IT function. The CIO will play a major role in formulating and executing the Company's global IT strategy that encompass the implementation of a worldwide ERP, oversight and management of 35 major systems supporting finance, distribution, manufacturing and customer service and the data and voice infrastructure needed to run a $1B manufacturing company. The CIO will lead a global IT organization in over 10 countries. SVASE presents "Open Source Business Models for Success"